Let’s be honest, bridges in the Netherlands are quite impressive! And as dorky at it may sound, seeing them for the first time can be a mind blowing experience. Here is why bridges in Holland are so amazing. Why are bridges in the Netherlands so impressive? The Netherlands already has some pretty impressive buildings (and is building even more), but bridges are a whole other thing. As weird as it may sounds to Dutchies, bridges in Holland are absolutely mind blowing to most foreigners. 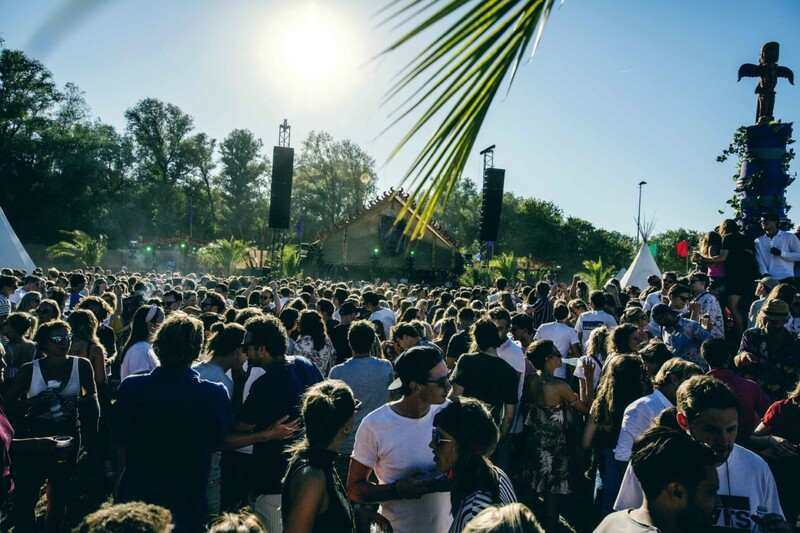 Especially when you see them being lifted for the first time, it can be quite the memorable experience for non-Dutch people. And considering how much water there is in this country, you can see all sorts of bridges! Small, large, colorful, fancy, moving, non-moving – this is bridge heaven over here! Let’s not forget about ecoducts, even though that is a completely different category (but just as important). 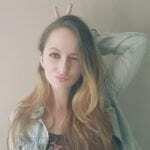 Since there are so many bridges in this small country (even Amsterdam has more bridges than almost every city in the world) it’s hard to cover them all. So we decided to go real quick through the most visually impressive ones. Here are some of the best bridges in the Netherlands. 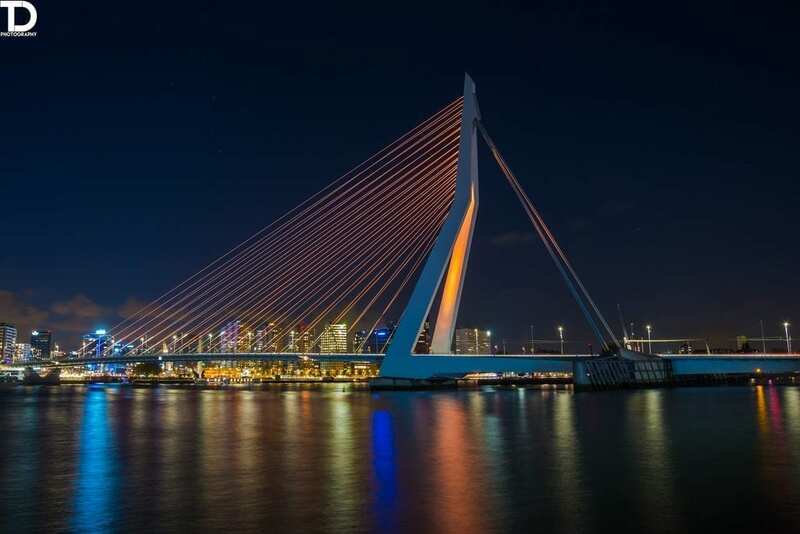 This impressive bridge in Rotterdam has pretty much become a totem for the city. It connected the north and the south part of Rotterdam. It is 802 meters long and 139 meters tall. It’s really hard to miss and it is truly a remarkable sight, especially during the night. Nescio Bridge in Amsterdam is an award-winning cycle and footbridge. 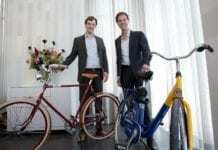 It is Holland’s first suspension bridge that carries only a cycle track and footway. 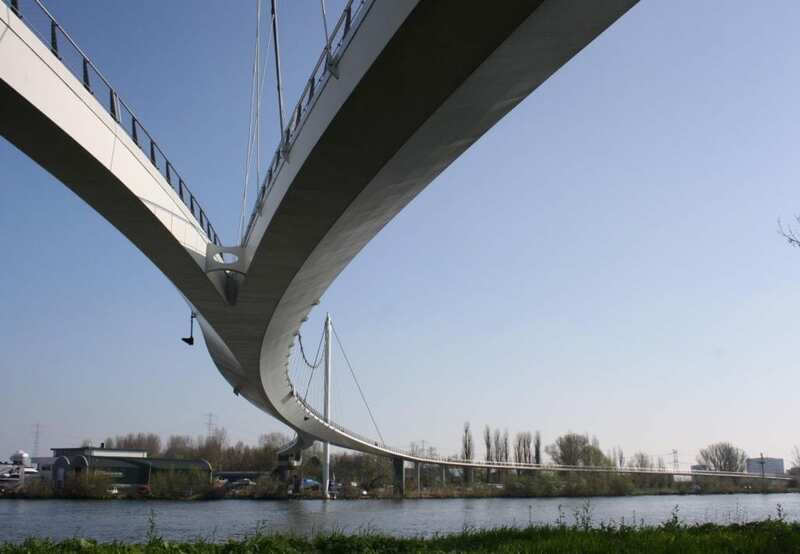 Its total length is 780 meters making it one of the longest cycling and walking bridges in the Netherlands. Bluawbrug is a historic bridge located in Amsterdam. Unlike the other bridges in this article, this one is somewhat romantic. It goes over the river Amstel and connects the Rembrandtplein area with the Waterlooplein area. Since its opening in 1883 it has been considered one of the most beautiful bridges in the Netherlands. So if you’re passing by, it’s worth the Instagram pic. You’ll know how the bridge got its name just by looking at it. 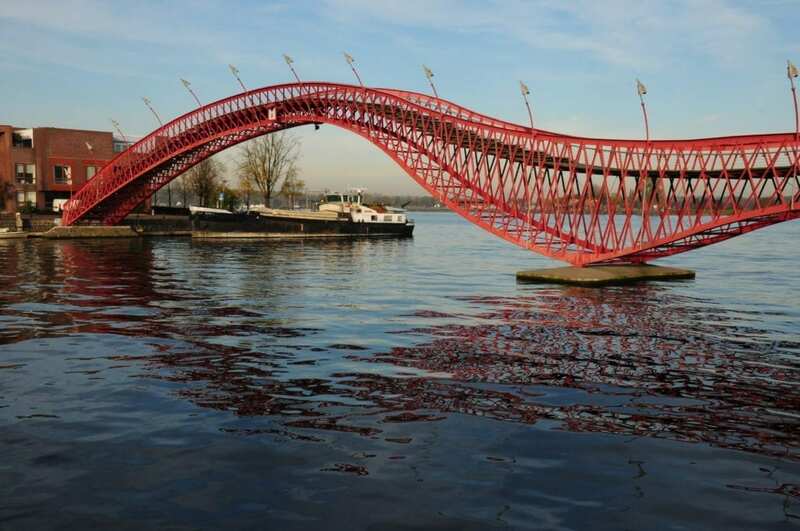 Python Bridge in Amsterdam was built in 2001 and won the International Footbridge Award in 2002. It’s official name is actually High Bridge (but we a conveniently forget this fact). The length of the bridge is 93 meters and it’s one of the most attention-grabbing bridges in the Netherlands. 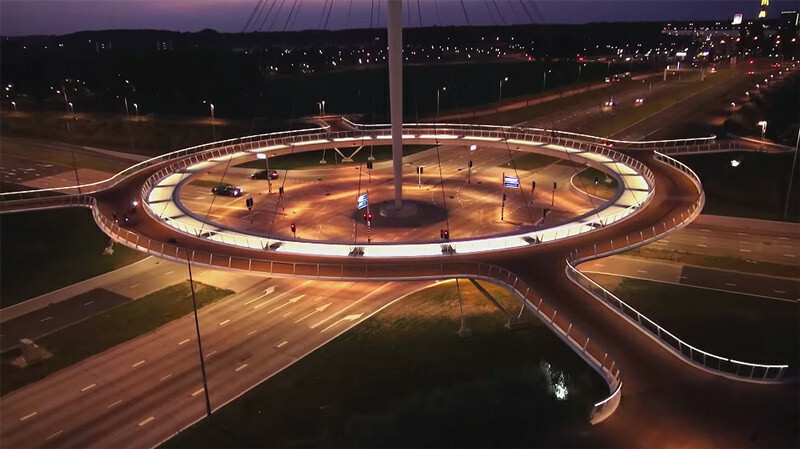 Hovenring is a bridge in Eindhoven that acts as a suspended cycle path. It is the first of its kind in the world. It opened in 2012, and since then has been a photographer’s favorite. It is especially impressive during the night. 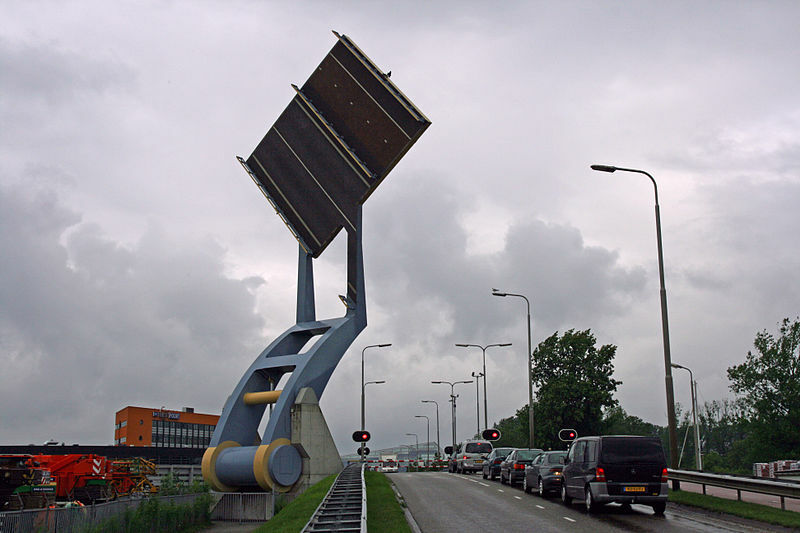 Slauerhoffbrug is located in Leeuwarden and it is a fully automatic bascule bridge. The structure uses two arms to swing a section of road in and out of the bridge itself. It is 15 meters long and honestly looks like robotic arm with a hammer. Impressed? 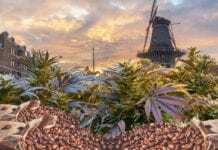 Wait until the Dutch prove once again they are the masters of innovation after building an incredible 3D printed bridge in Amsterdam very soon. Or do you want to know more about bridges? Here is a short educational video about the types of bridges in the Netherlands. Are you impressed with the bridges in the Netherlands? Are there any epic bridges we missed out on? Let us know in the comments below! Previous articleThe Importance of Voting When You Live Abroad. Rock the Vote – From Afar!